Book your Complimentary CoolSculpting Consult & Receive a $600 NIR body contouring treatment FREE with any CoolSculpting purchase! Now you can enjoy having tight, firm, youthful-looking skin without surgery. ReFirme™ is an FDA-cleared and non-invasive procedure that was developed by a master physicist. Now you can safely and effectively eradicate those telltale signs of aging, including; jowl and neck laxity, sagginess under the eyes, saggy brow lines, and nasolabial folds. The ReFirme device emits bi-polar radiofrequency (RF) and optical energy (laser or light), a combination ReFirme has branded "elōs technology". 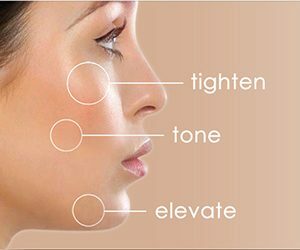 The ReFirme process is designed to stimulate collagen production. Call today for more information or to schedule an appointment!